As should be obvious from the projects I've been sharing recently, I've been challenging myself to use completed coloring pages in different ways. 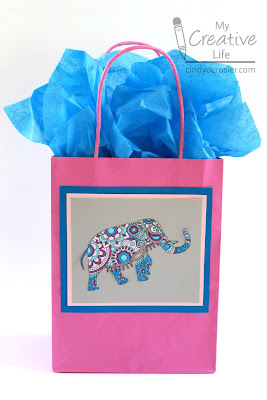 This time, I used a coloring page to decorate a plain gift bag. I used it for a birthday gift, but it works for pretty much any occasion. Use the microtip scissors to cut out the colored image. Back it with one or more layers of coordinating cardstock. I chose to use three pieces (grey, light pink, and blue). Glue the matted image to the front of the gift bag. Add the gift, then embellish with coordinating tissue paper. 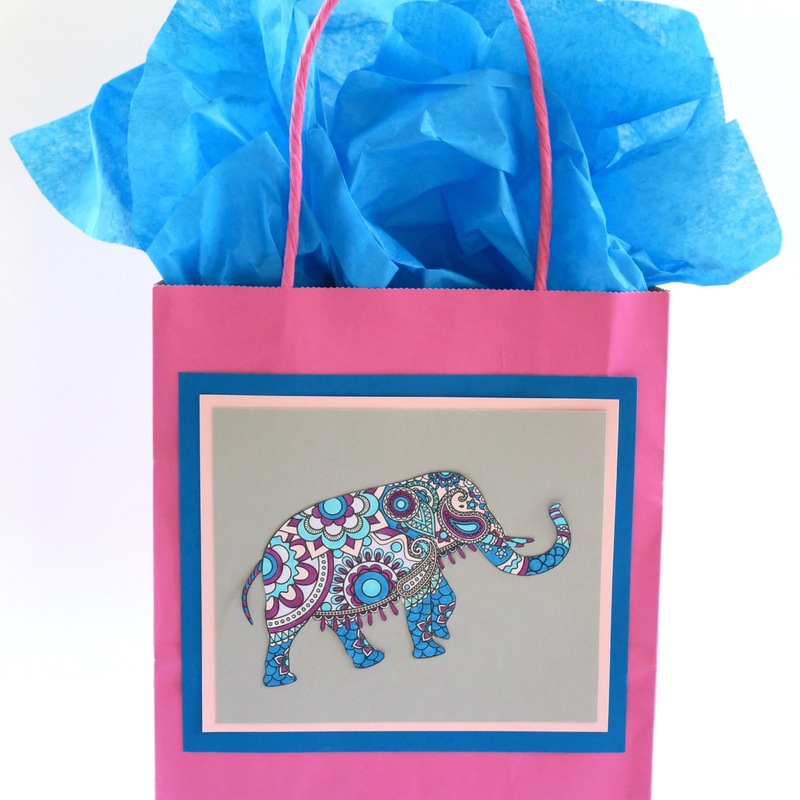 You could use literally any coloring page to create your own gift bag. It's a great way to feature colored images that would otherwise stay hidden in the coloring book. Ohhhhhhhhh I love love love this idea! SO CLEVER!!!!!!!! Very sweet! Love the colours!